Performance coils for 2014 and up GM Gen V Direct Injected engines. 2014 and up GM owners now have a more powerful ignition option for Gen V Direct Injected V8 power plants. Accel offers coils in both round and square configurations to cover everything from Corvette and Camaro to Trucks and SUV's. Accel GM Gen V coils are right at home on stock applications and produce higher output than factory coils, making them ideal for a tuned up, high performance build. 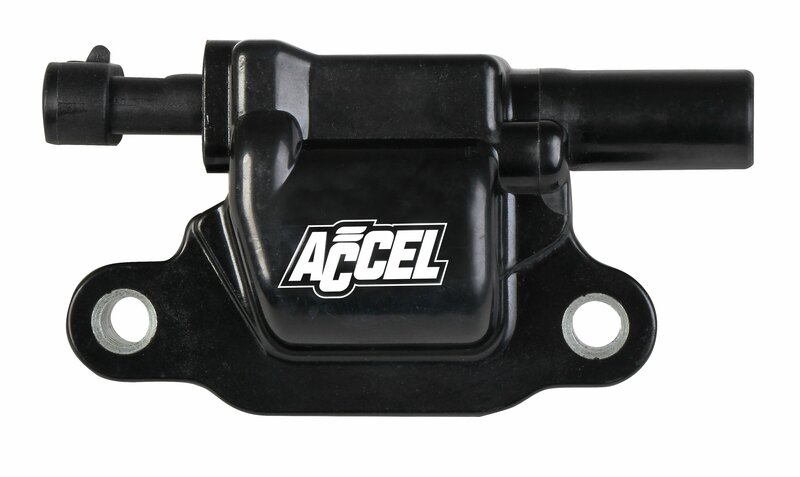 They are a direct fit replacement for stock GM Gen V coils making installation a true plug-and-play bolt on upgrade. Available in Black.